Home apps for automation, design and monitoring on Apple TV. 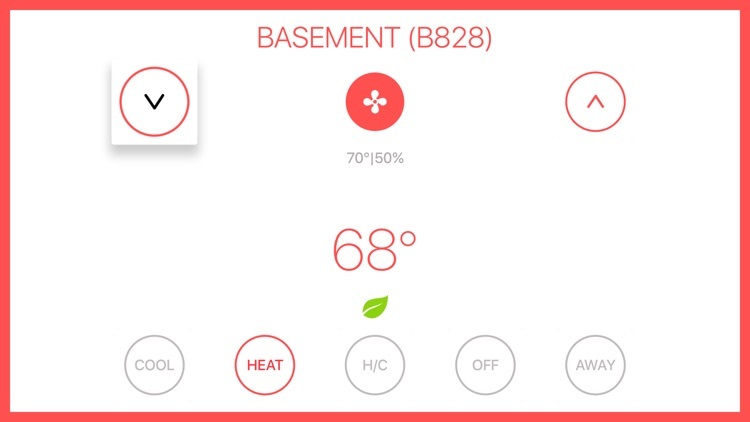 Home automation, design and monitoring made easy with these apps on Apple TV. 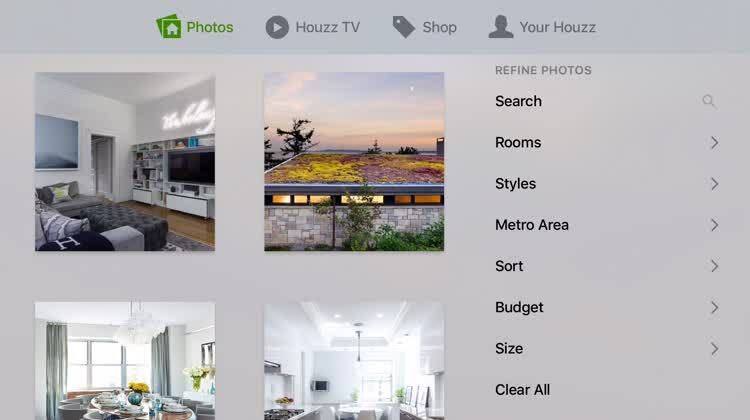 Houzz Interior Design Ideas is a collection of millions of gorgeously designed homes. You can browse through them, go through great photo slideshows, and even get tips on where to find some of the top home decor items you fall in love with. 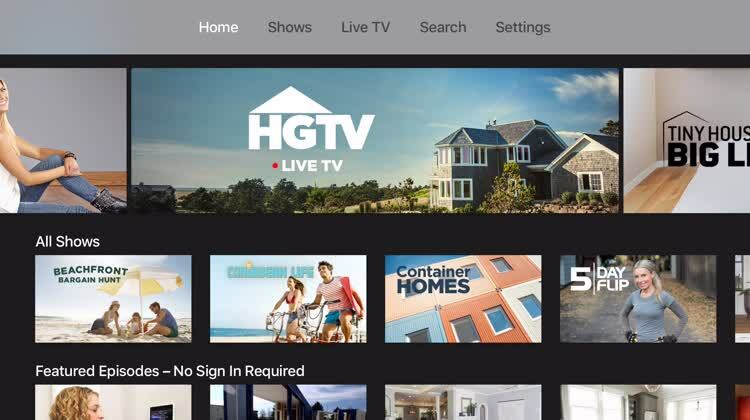 HGTV has some of the top home design programming available, and this app provides it streaming or on-demand on your Apple TV. With your existing participating cable or satellite subscription, you can watch HGTV live or catch up on your favorite programs. 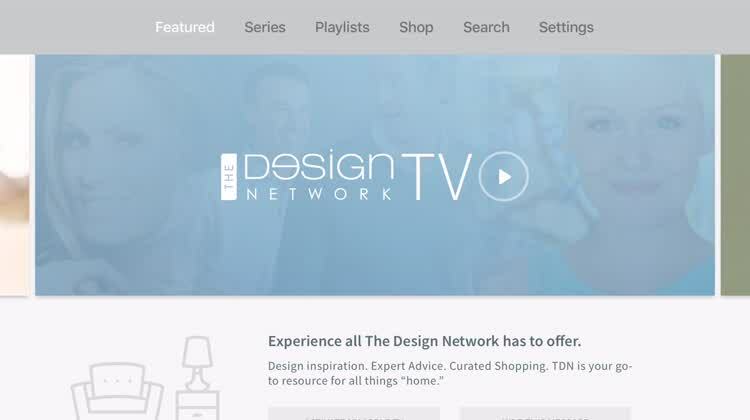 The Design Network brings the top names in home design into your living room, so you can learn from them. Watch their programming for inspiration and ideas, along with getting great advice. 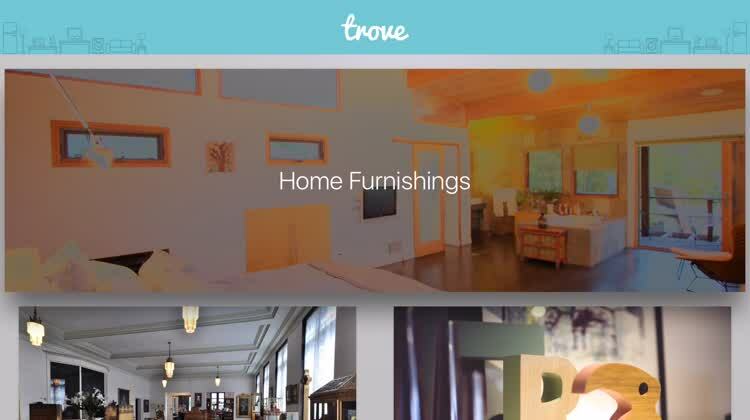 The app also provides you with your own source to shop for great furnishings and other products. Do you have a question, a complaint or a suggestion? Please drop us a line at [email protected] (with a dash), or on Twitter @webcamHQ, and we will be happy to help! You are welcome to download a free AxxonNext app to ensure real-time remote video surveillance and view video footage on your iOS device. 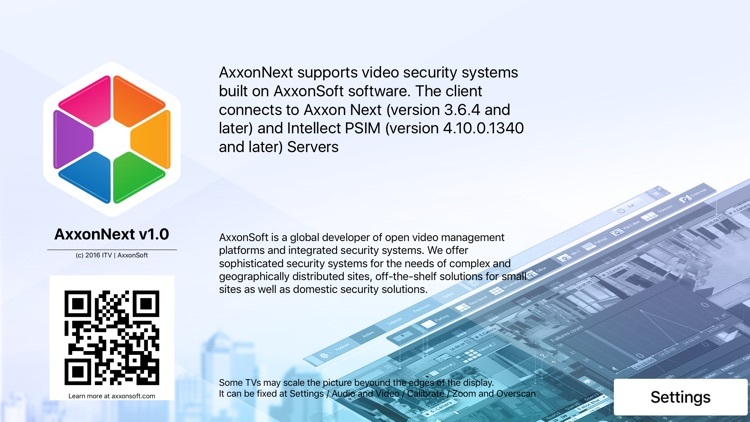 AxxonNext supports video security systems built on AxxonSoft software. The client connects to Axxon Next (version 3.1 and later) and Intellect PSIM (version 4.9 and later) Servers. • Viewing live video from the selected camera. • Viewing video footage from the selected camera. To find a video fragment in the archive, use the scalable timeline or position accurately to time and date. • Handling the list of events. Auto and manual event loading is available. It is possible to “jump” to live video/video footage/map of corresponding events, to mark events as “read” (all together or individually). • Selecting how to view the camera list. Video thumbnails are regularly updated, i.e. it is possible to view video from several cameras simultaneously. • Push notifications (messages about events coming to iOS device even when the app is closed). • Viewing video in the real-time mode as well as viewing video footage with audio coming from the microphones. • Transmitting audio from iOS device to speakers. • Using macros to execute user scripts. • Selecting fps values and video resolution. • Control over the turn speed of PTZ cameras. AxxonSoft is a global developer of open video management platforms and integrated security systems. We offer sophisticated security systems for the needs of complex and geographically distributed sites, off-the-shelf solutions for small sites as well as domestic security solutions. 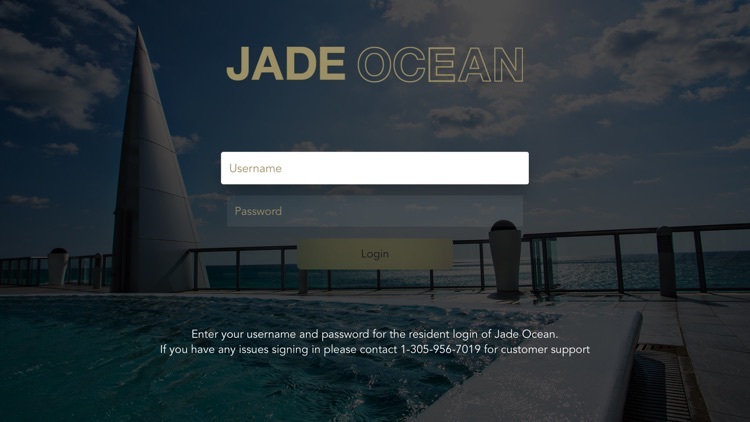 Manage your Jade Ocean residence from your smartphone or tablet. 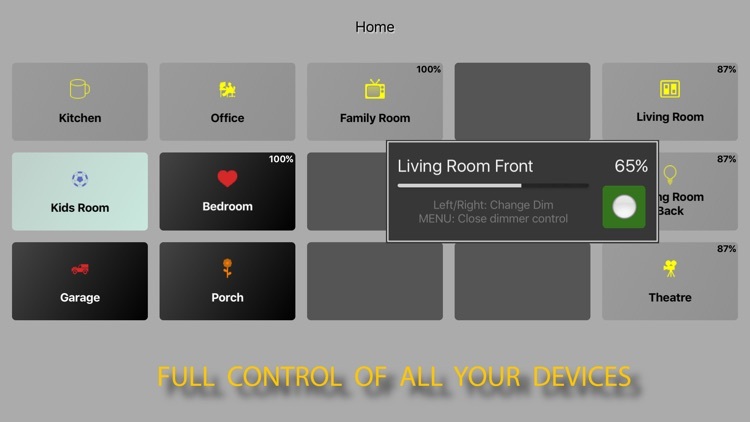 With LIFEDOMUS App by Delta Dore, you control your home automation and multimedia system in your smart home. You may create without limits your own controls and scenarios. Television, Home Cinema, audio-video amplifier, video projector, video doorman, IP camera, alarm, heating, lighting... the application allows you to visualize, control your system and receive alerts wherever you are. 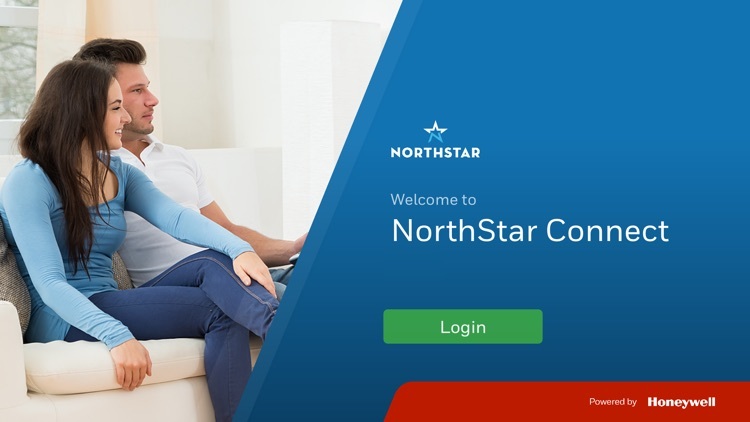 100% scalable, you can install new connected devices and control them from your application. Install the application on your phone and access the demo mode to preview features. 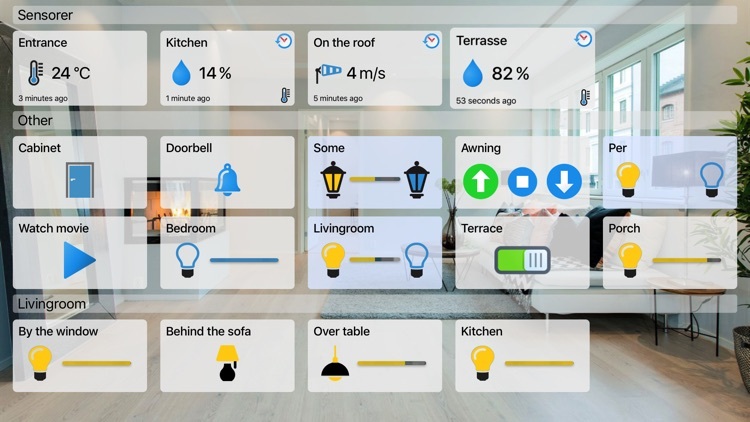 The application requires the use of a LIFEDOMUS home automation server, products using X3D, KNX, RTS or Z- Wave protocols, and it is subscription-free, Contact us if you need a recommended installer. 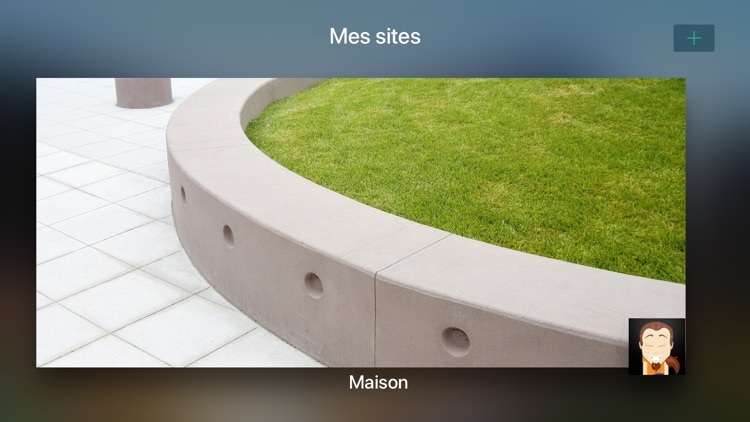 View your personal IP cameras with this app, on any iOS device or Apple Watch you own. * Supports all MJPEG, JPEG or H.264 cameras. * Audio support for H.264 cameras. * Built-in camera search for thousands of IP camera models. * Auto-probe cameras based on your camera model. 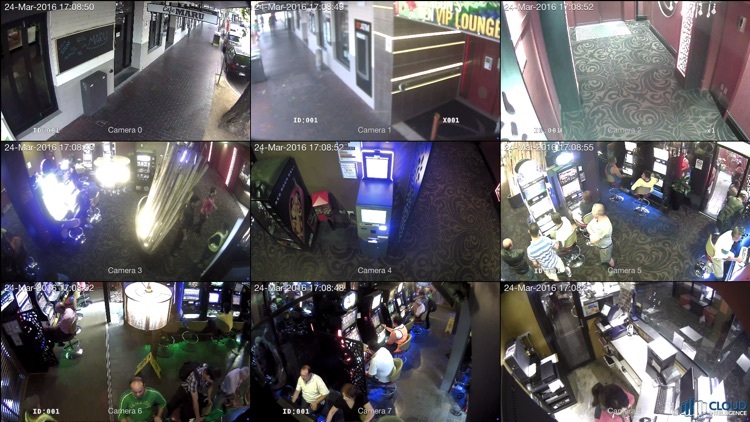 * Built-in public camera database. * Support multiple iOS and Apple TV device using iCloud. Enter your camera configuration once, and you will be able to view it on all devices you own. * View multiple cameras on one screen, or view one camera full screen. * In-App Purchase that enables motion detection with email notification, and unlimited number of cameras. 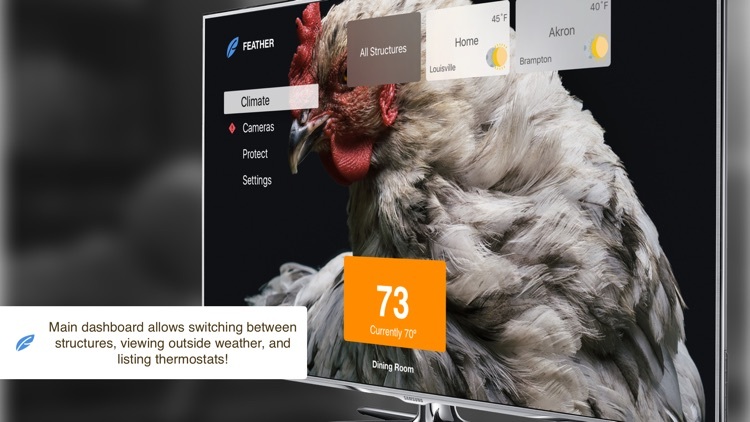 Feather allows you to control all of your Nest devices from your Apple TV. With support for the Nest Thermostat, Nest Camera, and Nest Protect you can control and monitor your home from the comfort of your couch. Please read the full description! 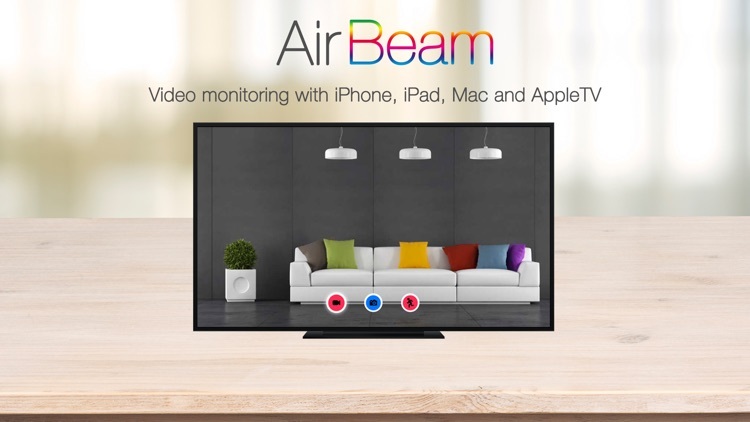 AirBeam allows you to watch and hear on your AppleTV what the cameras of your iPhone, iPod, iPad or Mac sees and hears. AirBeam receives high quality video and audio in realtime from the cameras and microphones of any number of iPhones, iPods, iPads or Mac computers on a Wi-Fi network - even from multiple devices simultaneously. AirBeam turns your AppleTV into a flexible remote surveillance system. Use it together with your iDevices as a babyphone, for serious surveillance, to keep an eye on your cat or to remotely control your camera…there are hundreds of useful and not so useful things you can do with it. 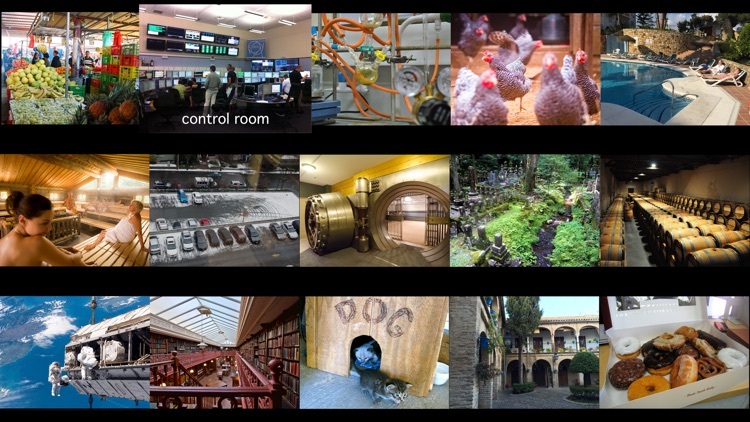 * High Quality Realtime: Watch video in up to Full-HD resolution and 30 frames per second. Watch and hear in realtime thanks to AirBeam's low latency encoding and transmission technology. * Zero Configuration: No need to manually configure device addresses. 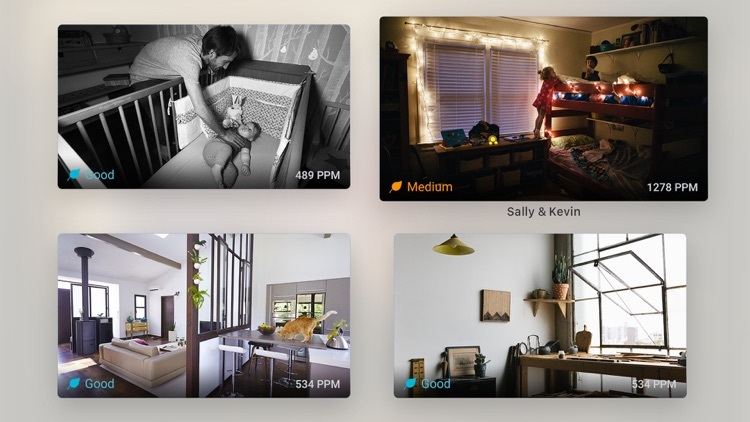 AirBeam automatically discovers all AirBeam cams on your Wi-Fi network and you can instantly watch them. 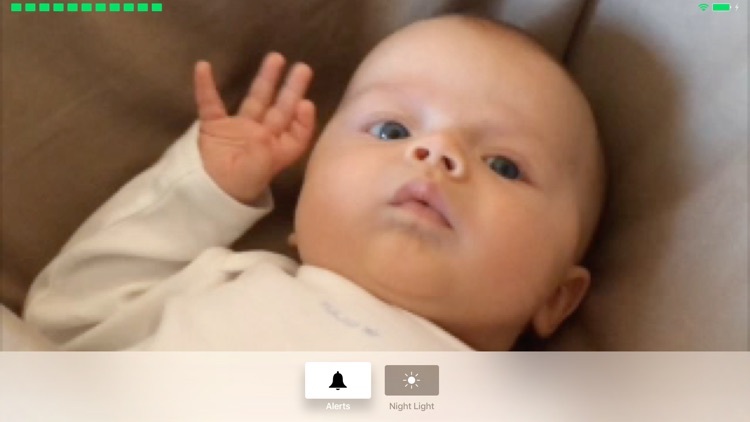 * Video Recording: Seeing or hearing something on AirBeam you want to remember? Just press the record button and it will be recorded. * Motion and audio detection: Trigger recording based on detected motion or audio or get visual and acoustic alarms. * Multi Camera: Watch as many camera devices as you want simultaneously. * To use AirBeam you need to install AirBeam for iOS on your iDevices or AirBeam Pro for. AirBeam for iOS and AirBeam Pro for OSX are separate Apps and are available as a separate purchase via the iTunes or Mac App Store. 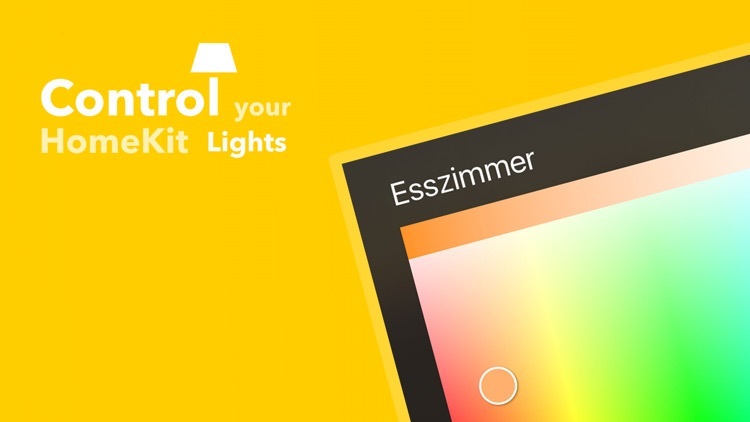 emblazee lets you control your HomeKit compatible lights on iPhone, iPad and Apple Watch. 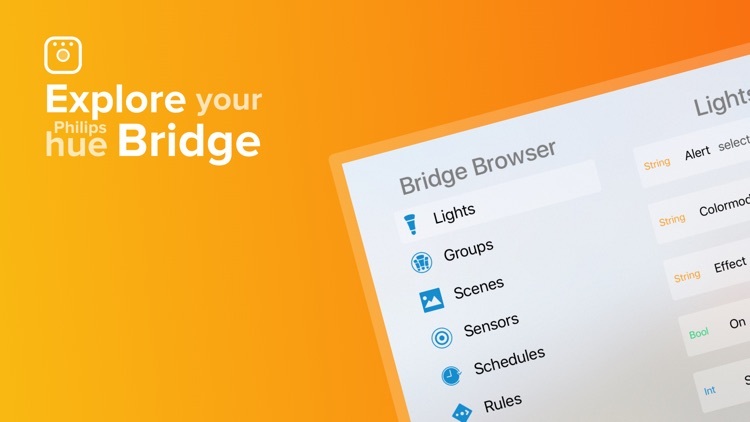 You can manage your homes and create rooms, zones, groups and scenes. In addition, you can create triggers that activate your scenes at defined times. Follow emblazee on social to stay updated. SecureGuard® software now for your Apple TV. 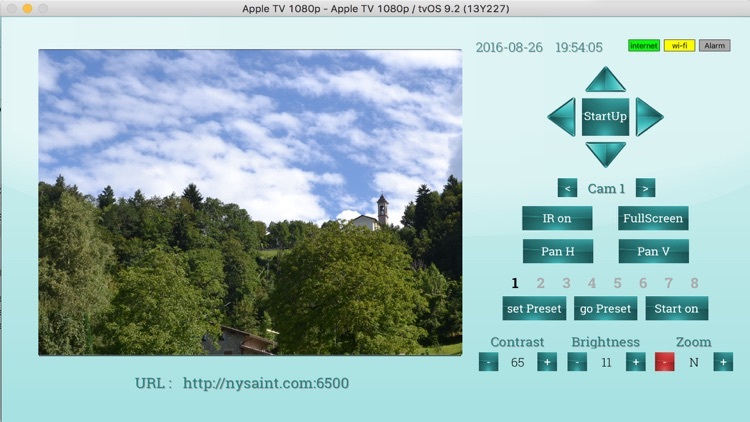 Now see live view of your Speco Technologies' DVRs, NVRs and ONSIP IP cameras right from your Apple TV device. 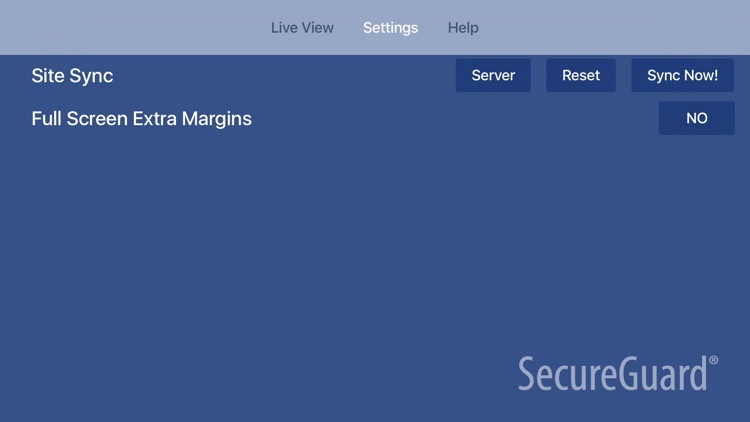 Use SecureGuard® Mobile to sync up your programmed sites with SecureGuard® for Apple TV and watch live video instantly. Note, to perform Sitesync, you will need SecureGuard Mobile for iOS version 2.3 and up. 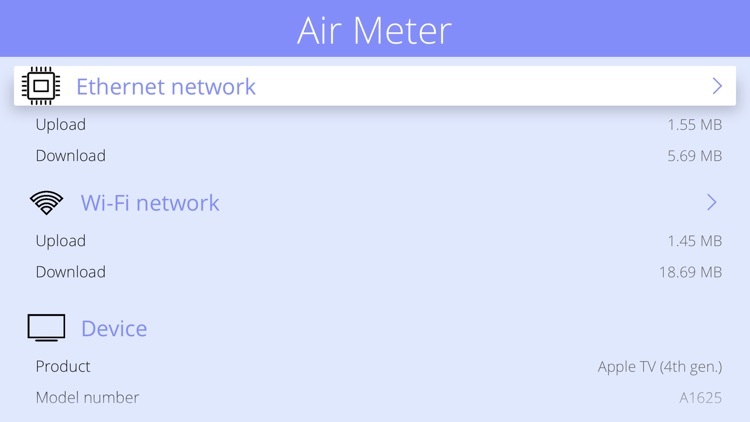 Air Meter is a small utility that lets you monitor your network data usage on a per-interface basis. Your iOS device has different network interfaces for accessing cellular data networks (WWAN), Wi-Fi wireless local area network (LAN), Bluetooth personal area network (PAN) and virtual private network (VPN).You can also track the personal hotspot traffic. Personal Hotspot lets you connect your computers and devices to the Internet using the cellular data connection on your device. Your device can share the cellular internet connection via Bluetooth, USB or Wi-Fi act as a wireless access point. • Show currently active network interfaces. • Cellular Personal Hotspot / Internet Tethering. • Data upload counters: sent bytes, sent unicast and multicast packets, forwarded bytes and packets. • Data download counters: received bytes,received unicast and multicast packets. • Interface error counters: input and output errors, queue drops, CSMA collisions, unsupported protocols, unaligned packets. • Quality of Service (QoS) counters by traffic types: best effort, background, video, voice, private. • Quality of Service (QoS) access category counters: sent bytes and packets, received bytes and packets. • iPhone 2G, 3G, 3GS, 4, 4s, 5, 5c, 5S, 6, 6 Plus, 6s, 6s Plus, SE. • iPad 1, 2, 3, 4, Air, Air 2, Pro (12.9" and 9.7"). • iOS 6, 7, 8, 9. 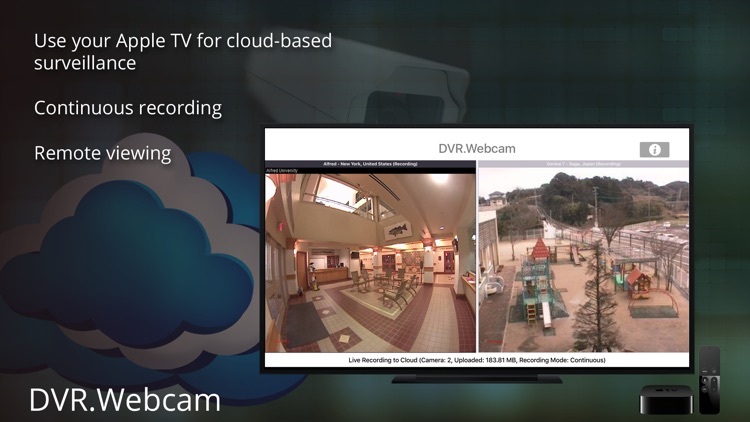 DVR.Webcam is a cloud-based DVR (digital video recorder) app that uses Apple's iCloud as its cloud storage. The app turns your iOS device into a cloud-based surveillance tool and monitoring tool that will stream and store live video from your device’s camera. Unlike other cloud-based DVR solutions, the app does NOT require monthly fees to store your recording. It simply uses spare storage on your iCloud account. 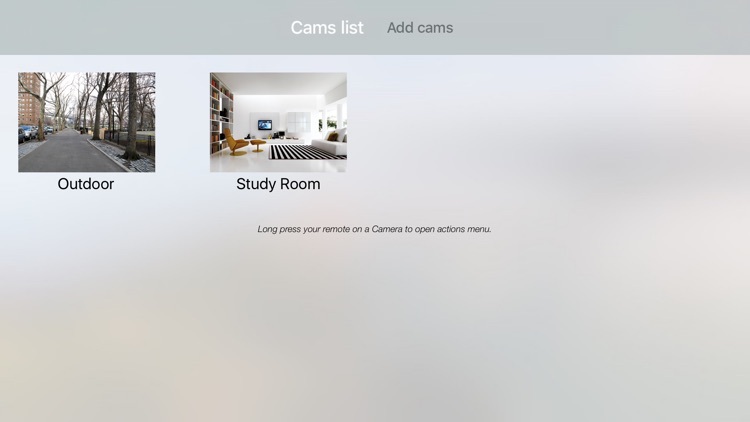 The app automatically records camera’s video (in the case of built-in camera, audio as well) and streams it over to your personal iCloud account. You can define X number of days to keep the DVR recordings in the cloud, and the software will automatically manage the storage for you. You can view your DVR recordings stored on iCloud within the app itself. You can even view live recording remotely from web. 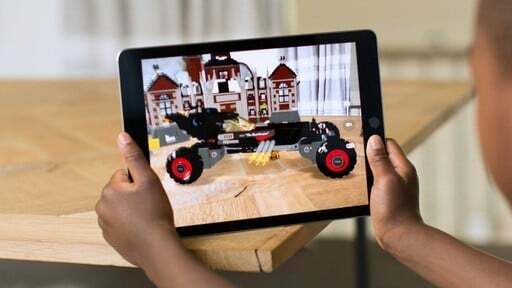 For example, you can use one iOS device as the DVR recorder at home, and use another iOS device (or Windows or Mac computer) for remote viewing when you are away. There is no need to configure firewall or router for remote viewing. Recording is secured within iCloud, and therefore it is still available even if your device is stolen. The free app supports up to 8 hours of DVR recording. Unlimited recording can be upgraded via in app purchase. * Built-in camera support with audio. * Store recordings either to iCloud or locally on the device itself. * Remote viewing from web using your iCloud account. * Recording playback and export. Honeywell Total Connect® Remote Services app lets you control security, thermostats, lighting, locks and more, receive text messages and email alerts—view live video and see your video doorbell events, locate vehicles or assets*— in real-time wherever you are 24 hours a day. 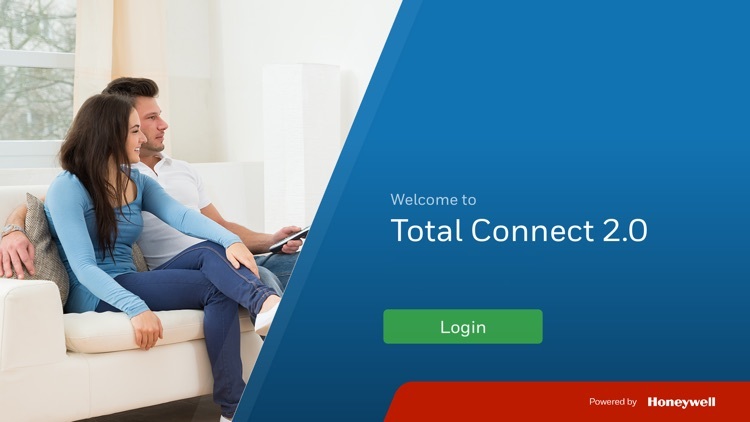 Requirement: Compatible Honeywell security systems with a subscription to Honeywell Total Connect 2.0 Remote Services. Please contact your security professional for additional information. Withings Home is an elegant HD camera with environmental sensors to stay connected to your loved ones while making your home a healthier, safer place. Withings Home offers a cutting-edge way to access to your home from anywhere using your iPhone, Apple Watch, iPad, Apple TV or iPod touch. With our innovative timelapse you can review what happened during the day in a few seconds. You can also browse through the Home Journal to review all the events which happened during the last 48h. 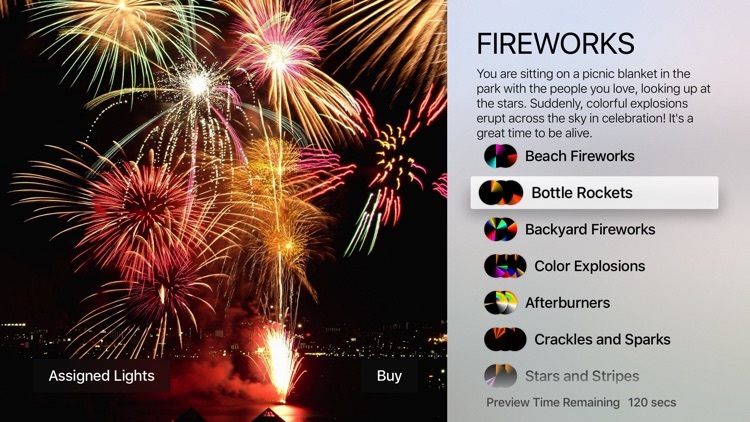 • For Apple Watch owners: enjoy live streaming, motion/noise alerts with thumbnails and start the lullaby from your Apple Watch. 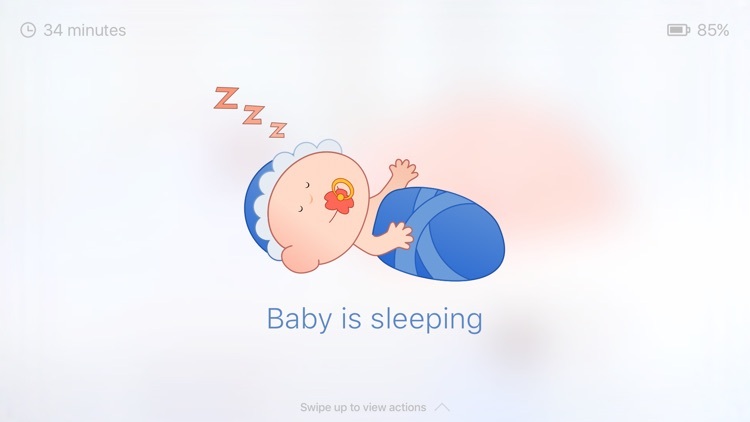 • For Apple TV owners: keep an eye on your baby, check what's happening in the kitchen or look who is at the door.. All this is now possible in HD from your TV. - Easily change the state of your device (Heat/Cool/Heat-Cool/Off). - Adjust temperature to your liking in real time. - Quickly turn the fan on or off when you need a little breeze. 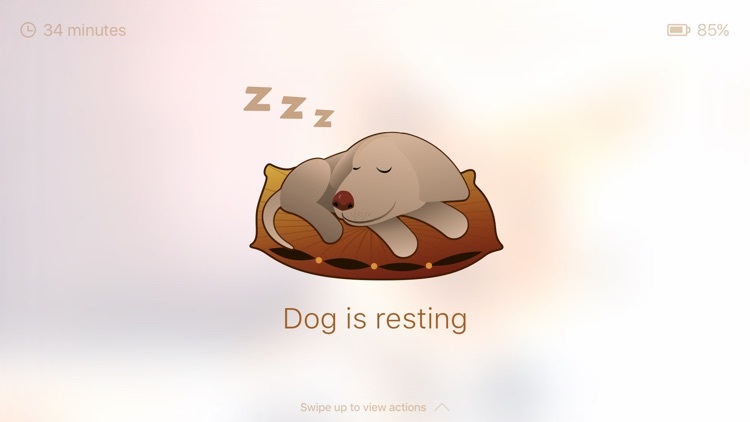 - Effortlessly end Away mode to control your Nest Learning Thermostat® when you're not home. Branch is built ready for multiple Nest Learning Thermostat®. This application allows you to control cam Foscam HD from your iPad. please send me an email with the model of your HD cam with suggestions. 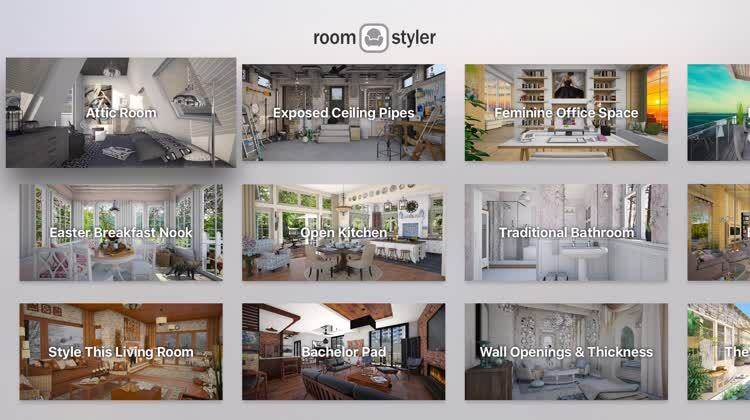 Roomstyler is an extension of the website, roomstyler.com, a site where people enter contests and vote on the best room designs. 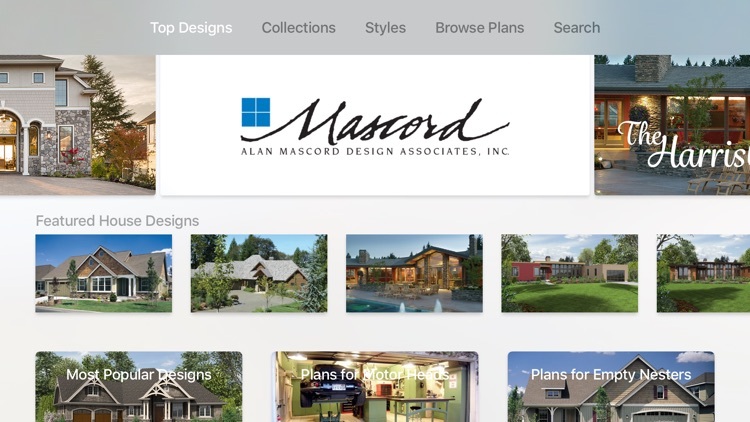 On your Apple TV, you can browse through some of the top rooms from the contests, which incorporate more than 120,000 items from your favorite brands. 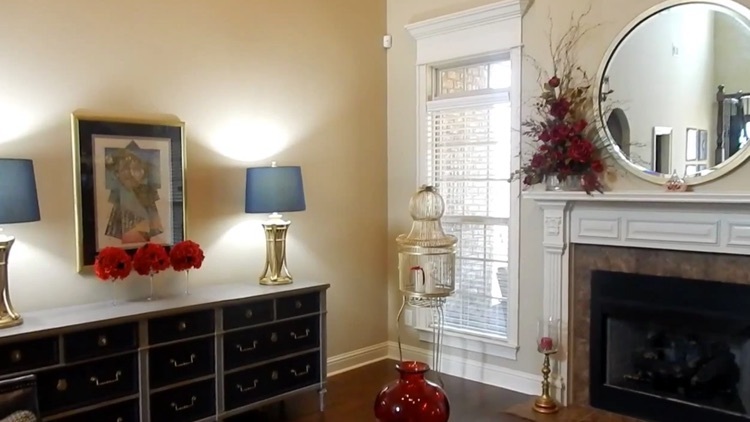 Enjoy the basics of home organization, design and deocration for all of your great ideas. Hue TV lets you control all your Hue lights with ease using your Apple TV and Siri Remote Touch surface. Perfect for when you want to turn off or dim the lights when you're about to watch a movie. Requires a Philips Hue bridge and Philips Hue light bulbs. 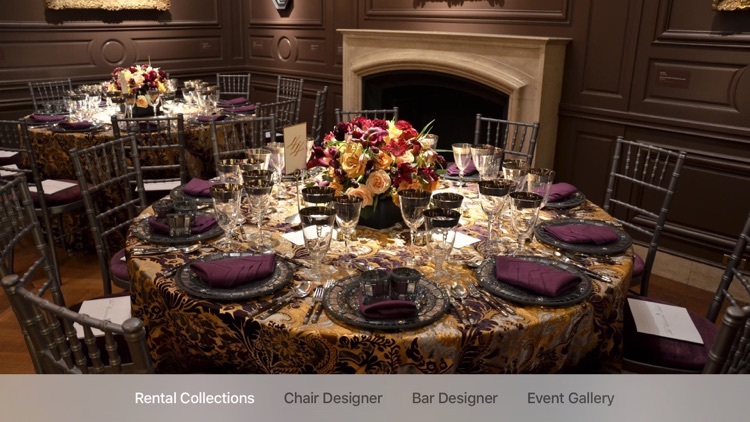 Browse the Perfect Settings Rental Collection and Event Gallery. 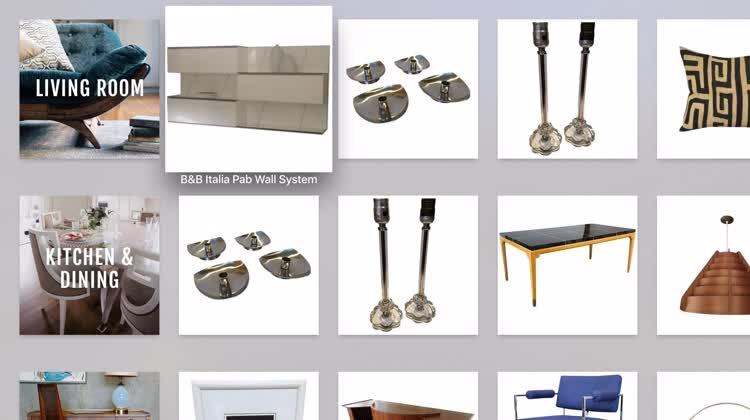 Access the Bar Designer and Chair Designer to preview your custom seating and drink station options. Perfect Settings: Caterers, event planners and representatives of the most high-profile venues place their trust in Perfect Settings. With extraordinary inventory, deep expertise and impeccable service, we ensure that your event, whether intimate or grand in scale, is a resounding success – down to the last detail. 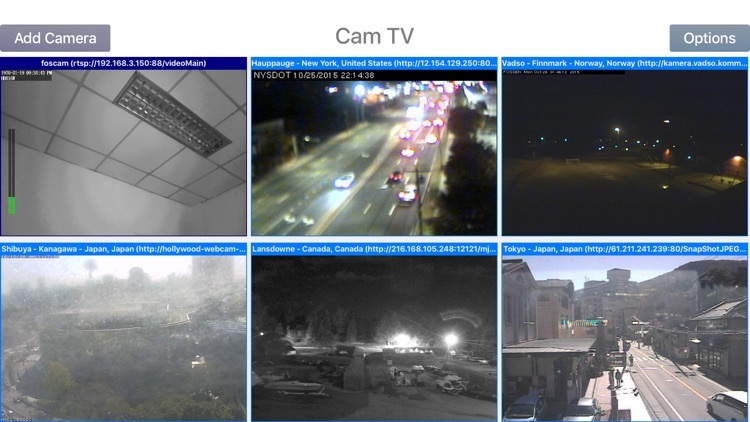 Fosky is a revolutionary, polish and simple interface to control and manage all your foscam compatible ip cameras. A complete Pan/Tilt support for camera that support the functionality is also provided. Step 2: There is no step two! 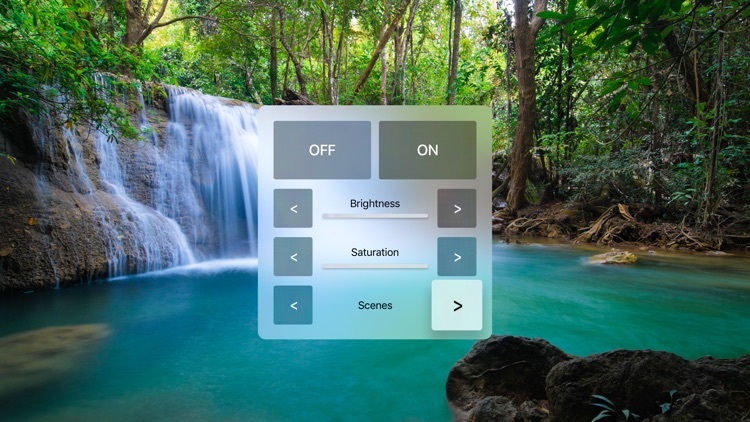 Ever wanted to switch on your Philipps Hue lights the easy way? HueOn finds all the Hue lightbulbs in your network and switches them on. Easy, fast and reliable. Just open the app and let the magic happen. 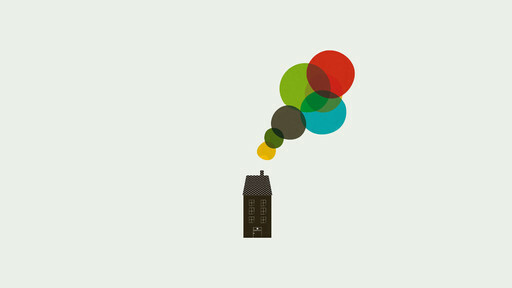 A fine selection of colors will help you to select the hue of your lightbulbs just the right way. Switching on philips hue lightbulbs has never been easier. "Such a obvious feature finally available! Thank you!" 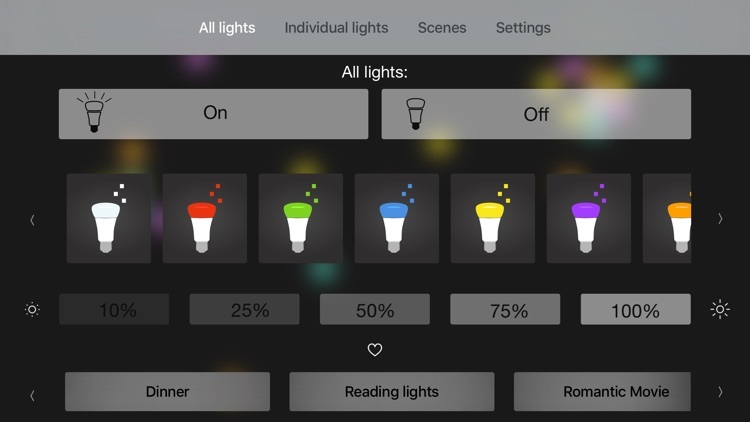 "Even my kids can use Philips Hue now"
"That app is changed the way i use my Hue lightbulbs"